The Seychelles Carnival, the Carnaval International de Victoria, is the Carnival of Carnivals, where top carnival acts from Notting Hill, Brazil, China and pretty much everywhere else come together in the spirit of harmony, unity and diversity. It’s the most lively crazy mix of cultures you may ever see. Plus, it’s really really fun, so of course I made a Seychelles Carnival video. To get a taste of the adventure, watch my Seychelles Carnival video here. This year there were 26 international delegates, making the Seychelles Carnival the 5th largest carnival in the world. Not bad for a little archipelago of 115 islands way far away in the Indian Ocean. I don’t think there could be a better reason for a party than that. 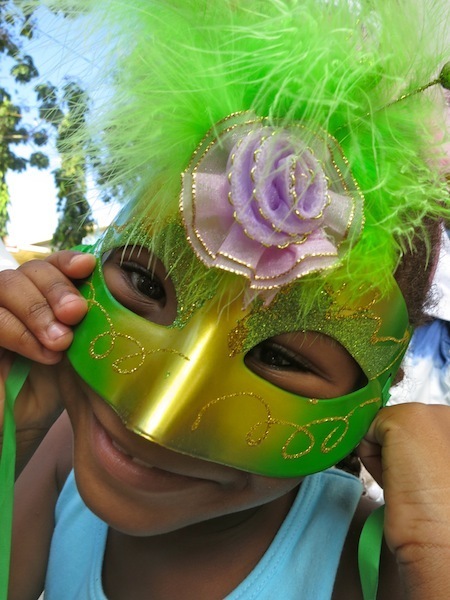 If you want to know more about what makes the Seychelles Carnival so special read why the Seychelles Carnival can change the world.